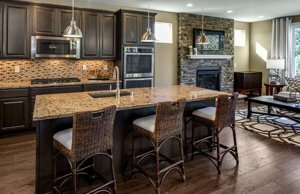 Brookside, a Pulte built real estate community in Lake Stevens. Construction of new homes had new homes available in the begining of 2016. . 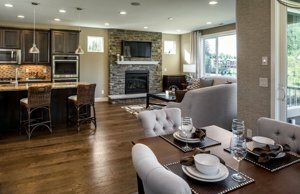 The Brookside location is perfect for commuters living in Snohomish County. It's just down from Hwy 2, Hwy 9 and only a couple of miles from I-5. Brookside features private homesites surrounded by wetlands, protected growth areas and/or streams. Lake Stevens, the lake, is also nearby and other Lake Stevens activities, events and activities. The Brookside community is also just a short distance across the street from the Glenwood Elementary. According to Pulte, the Brookside neighborhood is designed to offer 52 Single Family sites. 2 and 3 Story Homes from 2,010-2,989 square feet. Starting from the upper $300's. Brookside homes feature what Pulte calls Life Tested™ Everyday Entry™ and Living Spaces. Would you like to talk with a Persinger Group Realtor about buying a home or selling a home in the Brookside area?